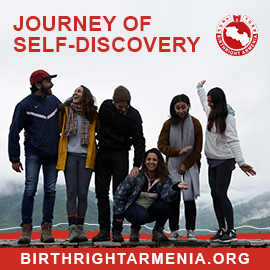 Be sure to catch the 2nd film in the POM10x10 series on Tuesday, March 31st at 7:30pm at the Hamazkayin Theatre, Armenian Youth Centre, 50 Hallcrown Place. Come join the countdown towards the 10th annual Pomegranate Film Festival scheduled for November 16-22, 2015. A US-Palestinian comedy filmed in LA and Ramallah in the central West Bank. Director Nicole Ballivian depicts what life is like for a Palestinian man driving a cab in post-9-11. It is in the driver’s seat that the young man encounters a variety of passengers and discovers a range of perceptions and attitudes toward Arab identity. Don ‘t miss one of the most popular feature films ever screened at POM. Proceeds will help fund a POM grant for the talented director Ballivian who is now working on her new feature film, SLEEPING ON STONES, to be filmed in the West Bank city of Hebron. Driving to Zigzigland – Trailer from bintfilm on Vimeo.